HUNTSVILLE, Ala.--(BUSINESS WIRE)--Jan. 22, 2015-- ADTRAN®, Inc., (NASDAQ: ADTN), a leading provider of next-generation networking solutions, today announced the addition of Northwestern Indiana Telephone Company (NITCO) to its Enabling Communities, Connecting Livesprogram. NITCO is deploying ADTRAN’s advanced Fiber-to-the-Home (FTTH) portfolio to deliver ultra-fast broadband to residential customers and Gigabit service to businesses in the local community. As a result, NITCO has seen broadband traffic more than double in 2014 with both an increase in subscribers and more use of the network as customers have discovered new ways to stay in touch and stay connected. The company expects to see three times more bandwidth traffic growth in the next 12 months as well. 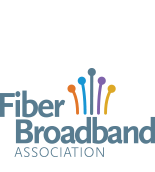 NITCO’s Gigabit service has helped local businesses stimulate economic growth in the area. One of NITCO’s largest bandwidth customers is a national dairy farm, Fair Oaks Farms, which uses Gigabit broadband to revolutionize the way it does business. In addition to remotely monitoring milk production and processing, it has deployed a hosted voice service, video streaming on-site and manages orders online. The farm is also building out dairy, pork and crop learning centers to share knowledge and expertise with other farms as well as educate school children. The advanced broadband infrastructure is enabling the farm to easily support all of these applications simultaneously and allows them to look at other ways to expand the business in the future. ADTRAN’s Enabling Communities, Connecting Lives program showcases how innovative technologies are being used in cities, towns and communities across the country to support economic growth and urban development. These communities are using ADTRAN’s world-class Gigabit broadband, Wi-Fi and Cloud service offerings to re-invigorate downtown business and residential districts, connect classrooms with other learning centers around the world, and help attract new companies seeking to relocate out of crowded urban centers. Since 1939, Hebron, Indiana-based Northwestern Indiana Telephone Company (NITCO) has been a top provider of telecommunications services across Northwest Indiana. NITCO continues to aggressively meet the challenges being brought about by increased demands for enhanced services combined with persistent growth within the communities it serves. As such, the company recently teamed with DISH Network to provide a triple play bundle of voice, broadband and TV to its customers. NITCO continues to earn its reputation for providing quality service at an affordable price, while at the same time keeping pace with rapidly changing technology. Visit at www.nitco.com, or call 1-800-996-2981 (219.996.2981 locally). Join NITCO on Facebook and Twitter to learn more about monthly promotions, giveaways and community projects. NITCO keeps customers CONNECTED. ALWAYS.